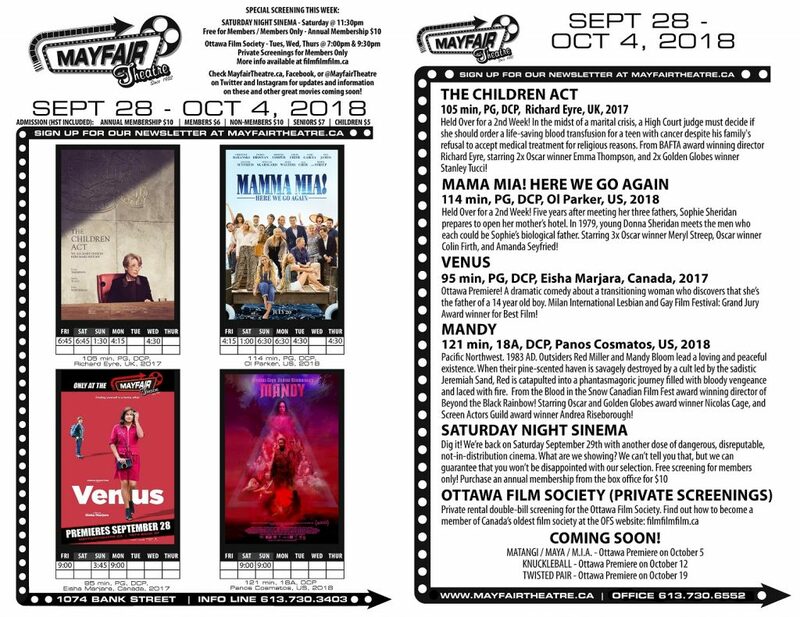 The Ottawa Premiere of Venus! The Children Act and Mama Mia! Here We Go Again are both Held Over for 2nd Weeks! A free for members secret screening of Saturday Night Sinema! Plus, the highly anticipated and requested Nicolas Cage epic, Mandy!